It appears Daryl has found a companion to keep him company. 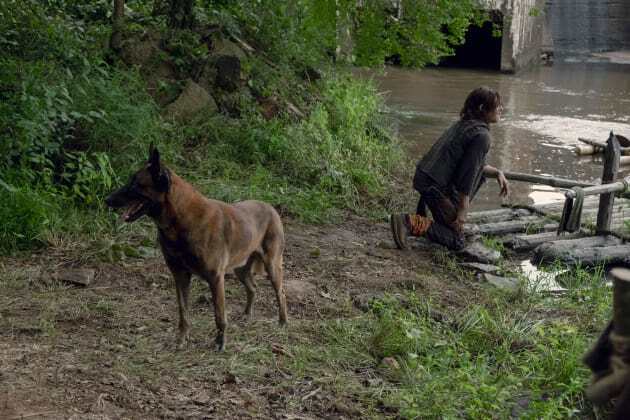 The Walking Dead Season 9 Episode 7: "Stradivarius"
Yumiko: Look, I'm sorry about Magna. She can be a bit hot headed. Michonne: That's one word for it. Permalink: That's one word for it. 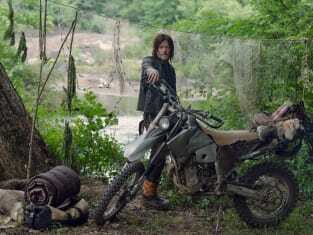 Daryl: Look, I know you still think I'm lookin' for him. Daryl: Never found a body. Ever. After a while it just got easier to stay out. Carol: You have to let that go. Permalink: You have to let that go. The Walking Dead Midseason Report Card: Best Episode, Worst Twist, And More!